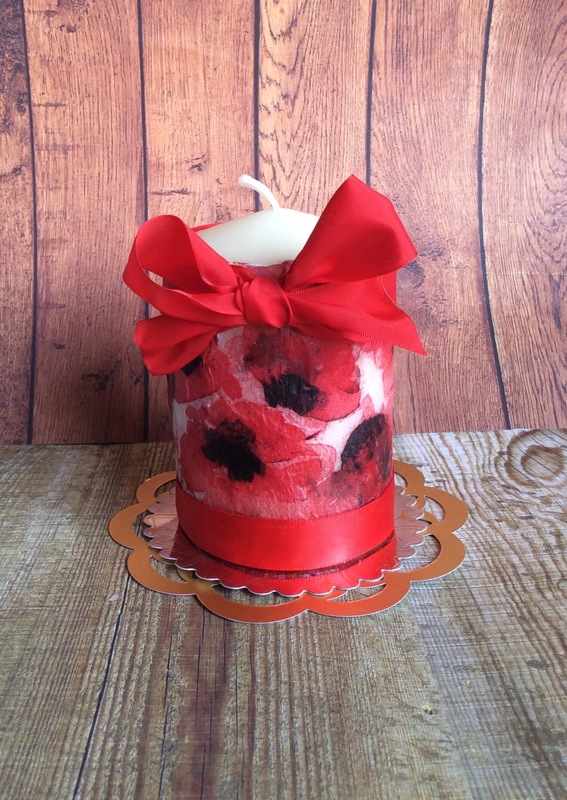 Ive wanted to try making a candle with a pattern made from a paper napkin on it for a while. Heres my first attampts. 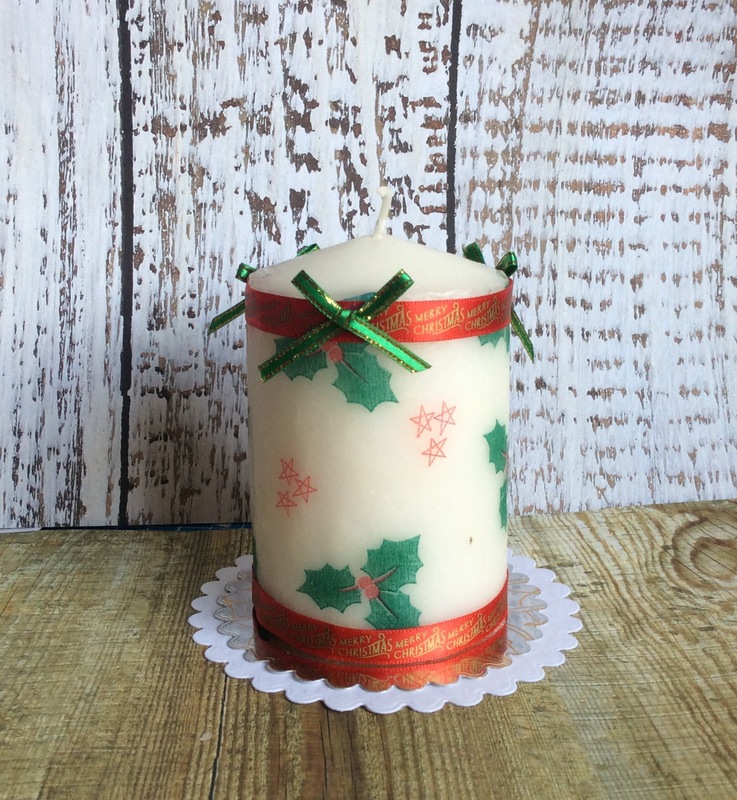 Easy to do; peel the lining of the napkin away and wrap the patterned layer around the candle, cover it with wax/greasproof paper, and heat up with your heat gun. Et voila! 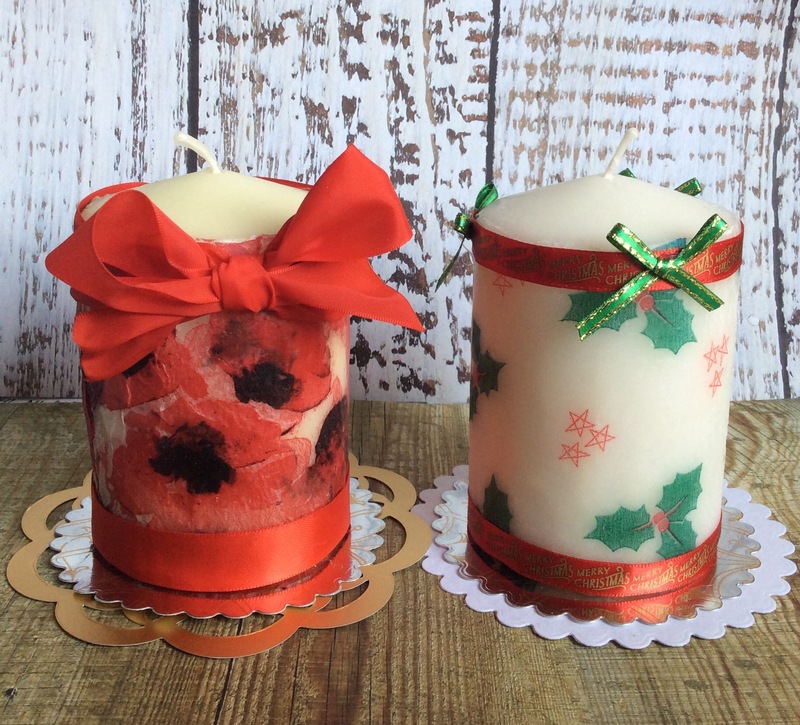 Those are both so pretty, Denise, bravo!! !